It’s been a year since Eden and Tyler have seen each other; a year since they’ve last spoken. She’s convinced herself she’s moved on from Tyler and is ready to continue on with her life. But when Tyler returns, he’s determined to win Eden back–by taking her back to Portland to show her how he’s changed. Eden must decide whether to forgive Tyler or say goodbye to him forever. I absolutely adore this trilogy, and I’ve loved following Eden throughout the three books. While it’s a bit cliche, Estelle still manages to make the story work. Personally, I thought the first two books were better and more interesting, but that’s usually how I feel with any type of series. In all, Estelle does a good job creating character development for Tyler, obviously, but also Eden as well. You can tell they’ve grown up throughout the series. Incorporating Eden’s hometown of Portland was a nice way to bring the books full circle, since in the first book Eden moved to California from Portland. Overall, I felt like it was a satisfying conclusion to the characters stories, but also left enough open ended-ness that she could create more stories if she ever decided to write more books. This isn’t a series that will leave you on some ridiculous cliff hanger. Overall, I would recommend this book for any teen or young adult who wants contemporary romance, especially if they’re looking for a series. I definitely know I’ll read the trilogy again and again! Connect with the author! 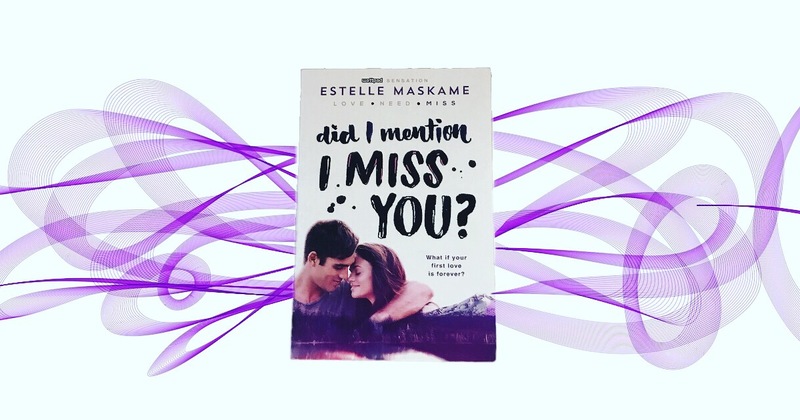 You can follow Estelle on twitter at @estellemaskame and on Instagram at @estellemaskameauthor!